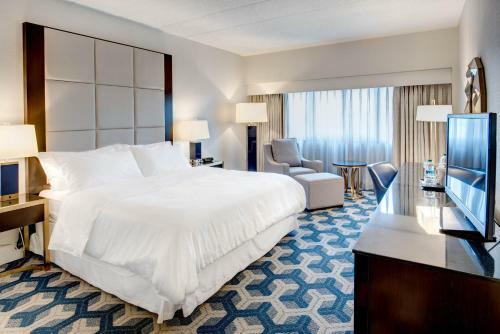 Featuring an outdoor and indoor swimming pool, Sheraton Eatontown Hotel is located off Highway 35 in Eatontown. Free Wi-Fi access is available. A flat-screen satellite TV is provided in each air conditioned room. Looking for the perfect hotel for your next conference or your next event venue? How about the perfect wedding venue? Visit Hotels Unlimited and book today!